Working on board can present seafarers with factors that may make it challenging to remain adequately hydrated, such as physically demanding job roles, working in very hot environments, and distrust of water on board because of taste or appearance. 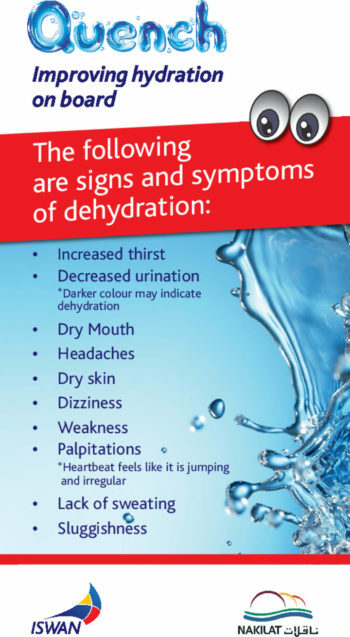 Dehydration can have a negative impact on a seafarer's health and can cause or worsen certain diseases such as kidney stones. It can also affect a seafarer's ability to be productive at work. 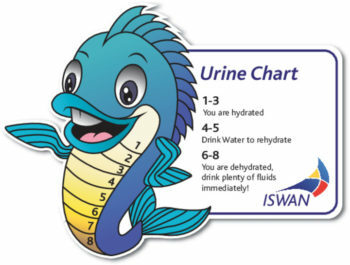 Our resources include a hydration toolkit for seafarers, posters with information about the importance of remaining hydrated and a urine colour chart to help seafarers judge whether they need to drink more water. 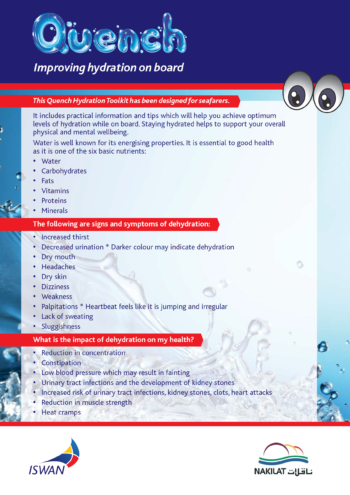 These were produced as part of our Quench pilot hydration campaign - find out more here.